While some players has christened me a 'cheater' for effortlessly killing hordes of zombies in an unexpected way, I still don't want to let go of my one and only favorite mode in CrossFire. So without further ado, this is my guide on how to play Zombie Mode, Hero Mode and Hero Mode Xtreme like a real hero. Black List has been secretly trying to develop super soldiers, the compound they were using had unplanned side effects, skin discoloration and strange bone and muscle growth, as well as uncontrollable physical aggression. The worst part is that the mutation can be spread by blood contact. The infection was thought to of being restricted to 13th zone, but made it to Port via shipping crates. From there has spread to many other places. At a later date the infection was found to still be present at the research facility it was originally developed. Description: While his attack are slower, it has a longer reach than the Dread mutants. Description: A cunning mutant who managed to aqcuire special repulse grenades which disrupt the position of soldiers. Description: Mutated general officer with a mechanical backpack merged to his body, used to spew out smoke screens to blind soldiers. Description: Mutated woman nurse with partial invisibility abilities as well as being able to jump higher than most other mutants in the game. Description: Default mutant in every other versions. As the very first mutant ever designed, in first person; it's simply a human with claws. Description: Reanimated corpse seeking for life essences. She acts fairly similar to Wild Nurses, but jumps way higher using her skill. Description: An item that reduce the stun and knock back effects on mutants, but they might have a hard time to escape. Description: A biochemical grenade that only affects mutants and deals massive damages. Buyable or pickable in supplies. 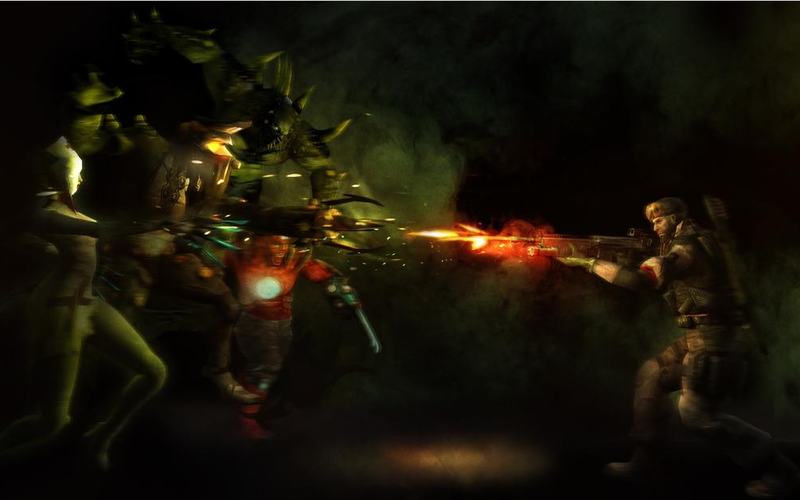 Zombie Mode and Hero Mode are a round based mode that throw soldiers into quarantined territories in an attempt to survive armies of playable mutant characters. Both factions, now teaming up, must prepare for the incoming infection as they have approximately twenty seconds to find a decent spot to defend in their current quarantined zone. Once the countdown is done, two soldiers will turn into mutants and attempt to spread the infection onto every soldiers or else they win after two minutes and a half. It is possible to completely eradicate every mutants as they do not respawn once killed. However they can infect soldiers, evolve, absorb or recover health if they want to survive as much as they can. When mutants are evolving, they gain few more health points and will eventually be able to use special skills depending of their current mutant. Evolution: As mutants infect others they will evolve into other forms with more health. Absorption: It is possible for mutants to absorb other mutant dead bodies to evolve. Recovery: When standing still for several seconds, mutant will then regenerate health. Before we start on the tactics, we need to know the 7 different maps on Zombie Mode and Hero Mode by heart. 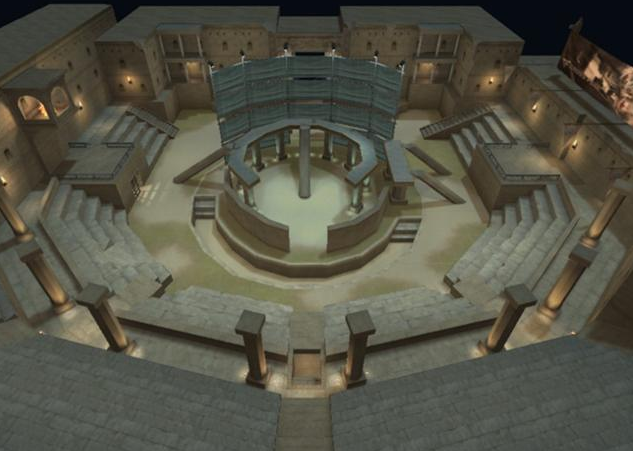 The map is a relatively large amphitheatre with various pillars all around the place, a wide seats section with an underpass beneath it. 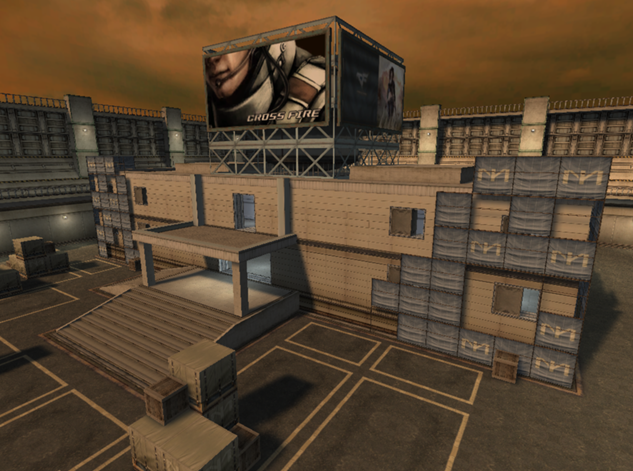 The podium platform in the center of the map is a good vantage point before the host infection. 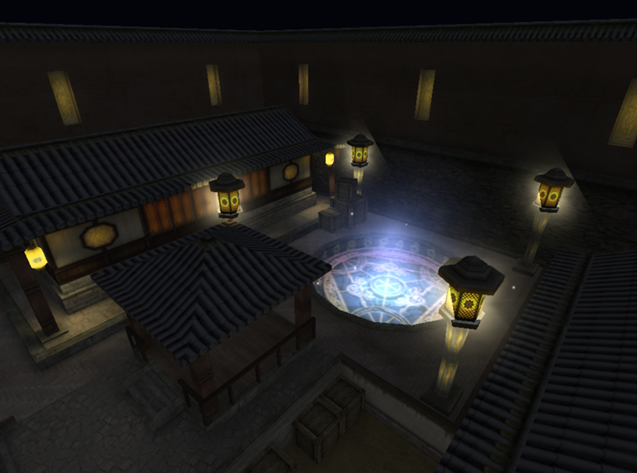 There are lots of torches taking care of the map's lighting, which is pretty lit beside the fact it's night time. It is also worth mentioning that some spots are directly taken from Excavation, more specifically the cage and the balcony, the way it's set up. 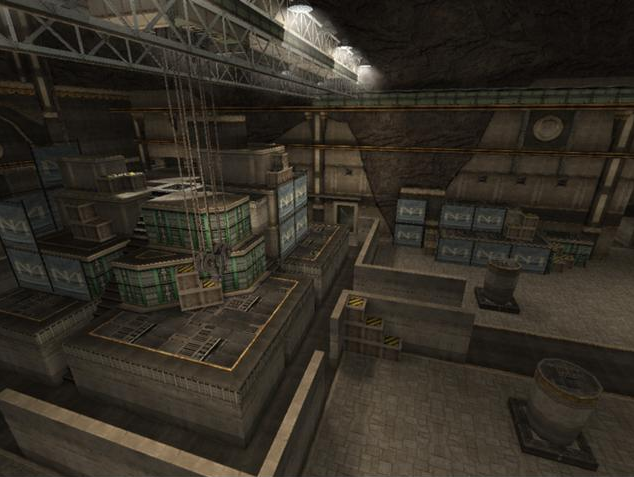 The cage and the narrow tunnel, being the most effective spots on the map, are also the most crowded ones in most games, so it is ideal to wait on the podium for a good opportunity to access them. The map is a vast bundle surrounded by buildings, which few of them can be accessed. A majority of the map happens to be a main road, reaching most of the buildings. There's a lot of spots for soldiers to defend, from easier to much challenging ones. It is suitable for every Mutation Mode variant and is considered as a classic. 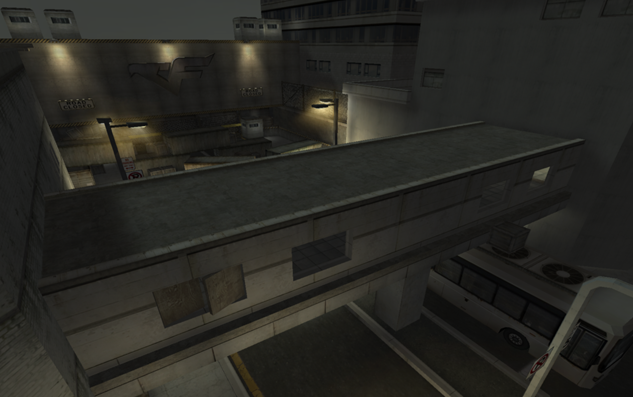 While most of us are familiar with this map, some players often try to go up the Overpass which can be accessed with simple boosting. The particular spot is extremely easy to defend. In Zombie Mode and Hero Mode, Port is different in the two modes. It is different in two modes because the other parts of the places were changed. It has many hideouts to protect your character from mutation. One notable place is A site where a thin ledge is the only entrance to a platform which if only one or two mutants are alive or exist, the place can easily be defended with most of the soldiers up there. 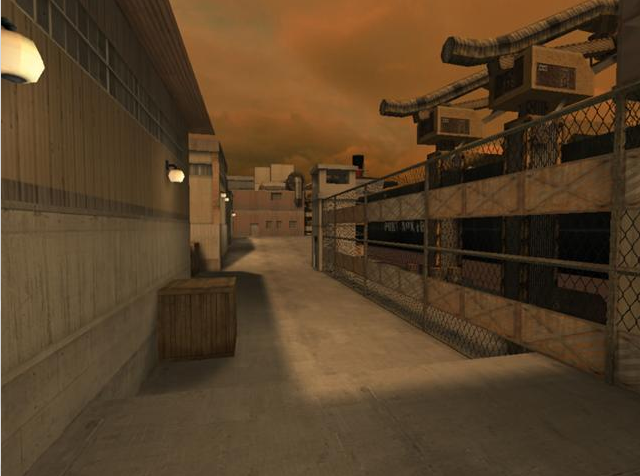 Zombie Port is one of my favorite maps. Mainly because finding a good spot to camp is easy. A map set within the depth of an excavation site as a lost city was discovered. There are many places to hide or to defend yourself from your enemy, the Mutants. The most ideal place to hide is in the southern part of the map. The elevated altar soldiers can go there by jumping multiple platforms that you need you climb up then jump onto the platform to the altar. Second ideal place to hide is in the middle of the map but don't worry, it is a very high elevated position from the ground, higher than the altar but in order to reach that position you need a player to jump onto him (or double jump for skilled players) then you will be able to jump to the top of that location. Another hiding place is at the cage. The cage is on the west side of the map. 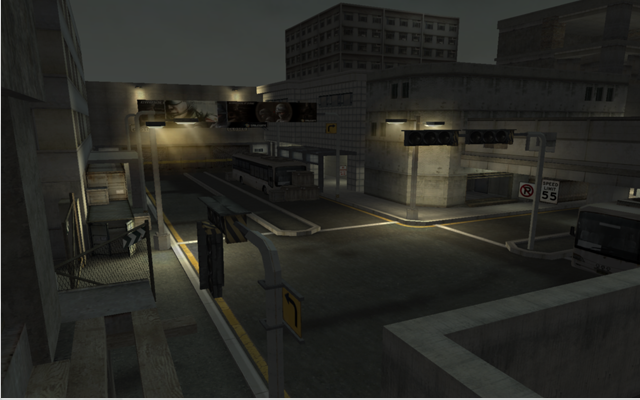 Is a Zombie Mode map, taking place in an abandoned military research & development base. It is now used as a quarantine zone for the mutants invasion. The map is large, but also empty. Yoh momma is so huge.. I mean this map is so huge that people can easily win by hiding in various place such as windows, behind crates, walls, etc. That depends however how effective other soldiers are doing or else they will have plenty of time finding anyone hiding. Players usually head to the balcony since it's an effective spot, except when they start to camp near the ladder, it usually screws up in a matter of seconds. The idea is to go in the further back and shot the hell outta them. 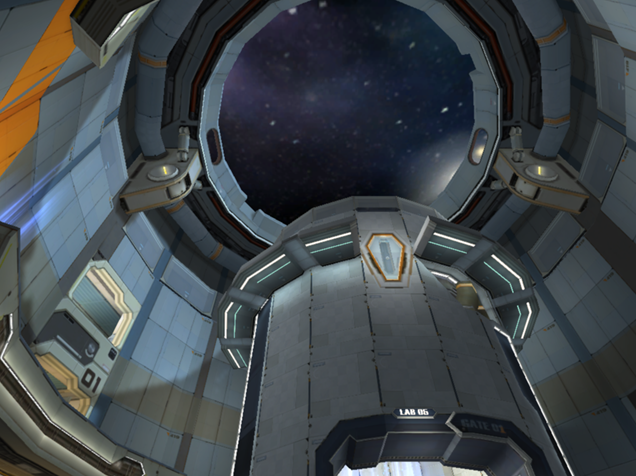 This map is yet another gravity themed map, as there's no fall damage in the main area; although the main gimmick is the jump pads found all around the place. They lead to various spots in the map, while the launch pad in center mainly serves to either access the top of the launch pad structure or simply avoid getting infected by the mutants. Most spots are placed within multiple sectors, while the rest are simple ledges on the walls; which all of them have their pros and cons when camping in them. Overall the map is fairly limited in term of common spots, however there is always place for improvisation for any group of soldiers that are willing to challenge themselves slightly more. The round begins and you are a soldier. You are vulnerable just like every other soldier in the room. Your default health will be 100 and the only equipment you have are the guns that you own. Your combat armor will be useless. It will have no effect because you will always get infected with just a single hit. Nonetheless, if you bought a Zombie Armor for Zombie Mode, it will make you take two hits before turning into a mutant. Camping: Despite the negativity it receives, it is the most vital part in killing mutants. This tactic allows one player to easily pick off any mutant that comes into sight without giving them any indicator of his/her presence in the area. It differs from holding a strategic position by its requisite static nature and intensive cover. • Find a good camping spot. • Always have a plan B in case the spot gets overrun by mutants. • Never let anyone steal your camping spot. In some cases, you can block a player from reaching a specific spot. -Areas that has only one way to get to. -A large shipping crate with only one or two (but preferably one) path up. -Tight spots like tunnels or cages. -An open area. Enough said. Aim For The Head:Unlike in Hero Mode, where a head shot is the only means of killing a mutant, in Zombie Mode you can still aim for the head to get the maximum damage output. It will kill them faster, thus save you more ammo. Know Your Enemy: Knowing the type of mutant you are facing will give you a higher advantage over them. Wild Nurse- They may look terrifyingly hot, but don't let their slender body fool you, pervert. Their partial invisibility cloak can wipe out an entire group of soldiers if not careful. Be aware if there is a Wild Nurse in an area. Open your eyes and always focus. Assassin Nano- Have you ever heard of the phrase "Napoleon Complex"? Small but terrible. This adorable little creature is one of the most powerful mutants in the game. The Repulse Grenades, if used correctly, is a very effective way of slowing, moving and stunning soldiers in an area. Never fret! The weakness of the Repulse Grenade is simply jumping before it detonates. Hulk Nano- These guys are like tanks because they get less knock-back than the Dread. They can easily soak up tremendous amounts of damage and still be able to slap the living hell out of you. Their Speed Boosts can also spell doom for you. When you see one, the best thing to do is run. Unless you are equipping a Machine Gun then go get them cowboy. Ink Nano: One of my favorite mutants. Their towering figure is intimidating. Their Black Smoke Screen can block your field of view. They can also be helpful for helping other mutants wipe out groups of players. Most players regard the Ink Nano as a useless mutant. Dread: Oh. The default mutant. The more the Dread gets powerful, the more agile it becomes. 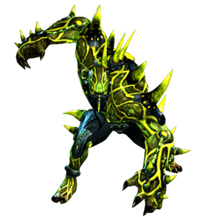 Its Speed Boost skill can give him a temporary Adrenaline Boost, making it run faster and jump higher. Mind Your Surroundings: At the start of the round you need to spread out. If you gather together in a group and one of you becomes a Mutant, then its game over. It is also helpful if you know the map as if it's the back of your hand. Hard To Get (Buy me a dinner first): I always hear the phrase, "Ninja moves" whenever I enter a game. While it irritates me, I am aware that it is one of the most effective ways in surviving a round. •Move like a Ninja- Jumping and moving from one place to another (hopefully you're not teleporting), is another way of effectively losing a mutant in pursuit. If you are really good enough with the parkour and all, you'll be able to outrun anyone. • Use your surroundings against mutants- boxes, columns, bridges, ladders, high areas.. need I say more? • Be as agile as possible. • Be as changeable as ever. While your enemies at some point predicts what you're going to do, you should always have a plan after that. Expect the unexpected. • Get the Reduce Fall Damage in the Item Shop. It'll help you survive when you jump from high places. You Are Not Rambo: You only have whatever gun you own, and the default amount of ammunition. Always conserve your ammunition, that is very important. Whenever I play, I always remember not to spray everywhere. Tap shooting or "tapping" will utilize the usage of ammo and help you survive longer. • Buy a Zombie Armor. So that when you get scratched by a mutant, you will have another chance to either run or fight back. • Never underestimate a mutant. I learned this the hard way. Come Out, Come Out, Wherever You Are: Cowardly and ineffective. At the start of the round you only have 20 seconds to decide whether you are going to hide or camp. Typically I would not recommend hiding as it's nowhere near as fun. Supply Crates: It is important to know the exact locations where the Supply Crates will spawn. Not only that it'll give you higher chances of survival, you will also have unhindered access to free ammunition and weapons. Just make sure you get to the Supply Crates first or else other players will surely loot them. Kiting: Kiting means you need to kill mutants by staying at a distance, by using tap shooting, and running whenever the enemy comes near. The round begins... everyone readies themselves as the countdown slowly inches its way to zero. Bam. As the Host Mutant, you are the most powerful. Starting with 5000 health if you're a Dread. And higher if you're a special mutant. Players cower in fear, as you savagely chase them. Spreading the infection from one player to another. Storm The Front: You maybe be a powerful mutant but there's this thing called "Knock-Back". Any level of mutation will receive a Knock-Back if he/she got shot at, even with all the upgrades for the mutant, which makes it much easier to pin the mutant to a corner. • Use your surroundings against the soldiers. Such as columns as cover. Or walls. The Hunter And The Hunted: You are the hunter. Not the hunted. Be smart on how you will approach your enemies. Plan tactics ahead and always pay attention to you health points. • Never go toe-to-toe against a soldier with a Machine Gun. That will spell death for you. • Move in and out by strafing. Use speed boosts if necessary. • Always stop to regenerate your health points. • Don't think like a zombie. Take advantage of your mutant to the fullest. I Can't Take The Pressure: Fear is a powerful tool against soldiers. Force them out of their camping spot. A soldier can only fire his weapon for so long until it's time to reload. If he does, go in for the kill. If the soldier doesn't see you coming run very close and then walk the last few steps. He'll never see it coming. The important thing is to always have them on their toes. All For One: If there are several soldiers together gunning you down, you don't have much of a chance of running through their bullets at all unless they're all 5-year-olds. Strafe as much as possible, use covers and take them out one by one. Being the Soldiers' leader, the Hero takes responsibility in helping his comrades fending off the mutants till the timer runs out. Use your rifle carefully and keep the grenades for dire situations. Hunt down the mutants if their number isn't high, and take the chance to refill your ammo every once in a while so you can keep going with your teammate. The Best Offense, Is The Best Defense: Your Fal Custom Camo is a very powerful weapon against mutants. In addition to a Camo skin, the fal camo comes with upgraded magazine that holds 60 rounds instead of the usual 30 rounds, and a working Grenade Launcher instead of the Optical Zoom scope. Players can switch between normal mode and Grenade Launcher mode. This Time, You Are Rambo: In offense, you can wipe out mutants a whole lot easier with the help of your Grenade Launcher. When in defense, always keep an eye for Wild Nurses and Assassins, and use grenade launcher to push them out if they happen to sneak in your defense. • Do not waste your ammunitions in general. Especially your Grenade Launcher. Touch Me If You Can: Your Fal Custom Camo is extremely powerful, high accuracy and light-weight, allowing the Hero to pick off mutants from a distance and close combat. The Grenade launcher is capable of dealing 1000 damage to each Mutation when successfully hit, making it a good choice to defend narrow entrance ways. • Your grenade also deals knock-back against mutants making it easier for you to move around the map to loot supply Crates. Move Like The Wind: While other players prefers to stay in one spot, I prefer to move around the map. • If surrounded, use your Grenade Launcher to help you get out of a hairy situation. • Your Fal Custom Camo is light-weight. Meaning you can shoot while you are moving. • Be diverse in the battlefield. Strafe from one place to another and use your surroundings to your advantage. Now that you know the basics, it is time to move on to a crazier version of Zombie Mode and Hero Mode. In this mode Mutants won't be knocked back when shot at, they will just slightly freeze in place if taking too many damages. 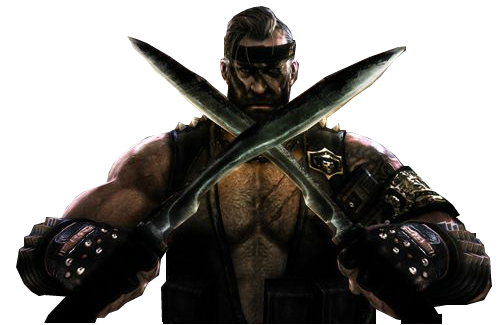 Mutants also respawn infinitely and immediately unless they get killed by melee weapons, making them very hard to kill. Mutants also regenerate health very fast, 1000 HP per second. To make up with this, Soldiers get Supply Crates far more often, around 45 seconds between each wave. They also start with 240% attack power boost allowing them to deal much more damage against mutants. Each soldier infected or killed adds 10% to this power until it reaches the maximum value of 340%. At this point, remaining soldiers in the room may become the Ranger/Falcon by pressing "E". Before we start on the tactics, we need to know the 2 new maps on Hero Mode Xtreme by heart. 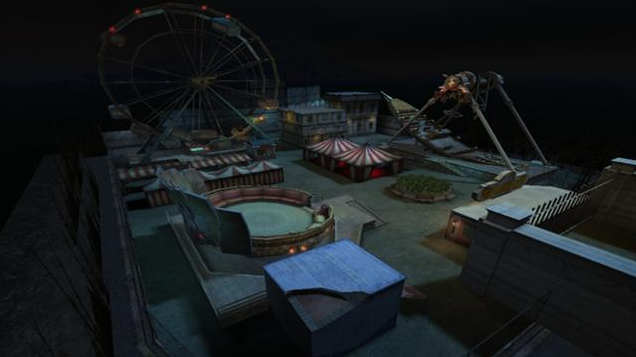 The Amusement Park is an exclusive Hero Mode Xtreme map, set within an abandoned amusement park during the night. There are various rides and point of interest where soldiers can defend. There is a large ferris wheel where soldiers can defend one of the cars, although lots of firepower is required. A Pirate Ship where the top can be defended. And there is also a blue cabin that features a small closet where up to two soldiers may hide. It is the first one to take place in "peaceful" daytime (I highly doubt that), - both BL and GR must work together to survive mutants attack in this wonderful waterpark-themed resort. There are notable places on which a player can camp. Like the slides, but requires a good team coordination. If you use the slide to escape, make sure no mutants are waiting for you. Or The Bar Rooftop: Definitely a good spot. All you gotta do is check the broken tree and also hope some mutants will fall in the hole. The bar can also be a good hiding spot. You can also shoot the glass bottles. It's fun! 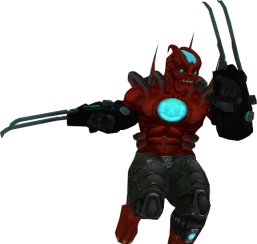 The Revenant is a Mutant character playable in Hero Mode Xtreme. After the countdown reaches zero, a random player will be chosen to be Revenant. 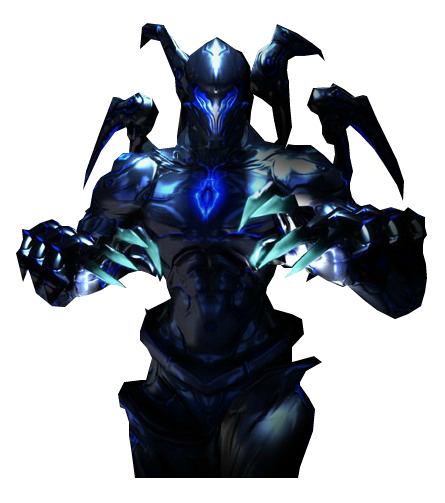 Unlike any other Mutants, Revenant has longer attack range, more health, and can see soldiers through the wall. Havoc is a new Mutant character exclusive to the Hero Mode Xtreme. It is only available in Amusement Park and Death Trap, Resort and Vault. 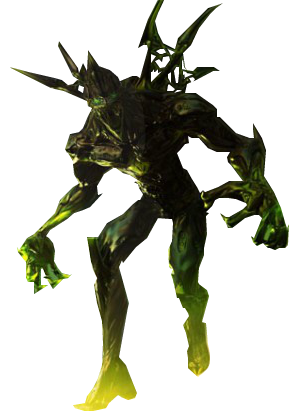 He's the equivalent of Revenant, except that it glows green and slashes with its terrifying claws to infect soldiers instead of throwing electricity. Immortality: These guys has high health, regardless of how many times they have died. Use it to rush to enemies. You may die, but you will respawn with very large amounts of health. X-Ray Vision: They can see soldiers through the wall. Use it as an advantage to infect soldiers that are hiding. Over Powered: They have a very strong secondary attack. Use it as deadly attack when facing The Ranger or The Falcon. 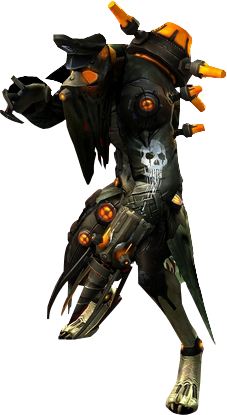 Mortal Combat: Exterminate all Rangers or Falcons after the surviving player has pressed the [E] skill to become Falcon/ranger. Go to him/her directly and attack him/her quickly so that he/she would die easily, one- two secondary attacks and one primary attack will do the trick. • Time your attacks well. Do not go trigger happy. • Remember that a few hits from them can kill you easily too. In a hmx round, last surviving soldiers will have the option to transform into the Falcon by pressing the [E] key. The number of Commandos depends on how many players are there in the room. 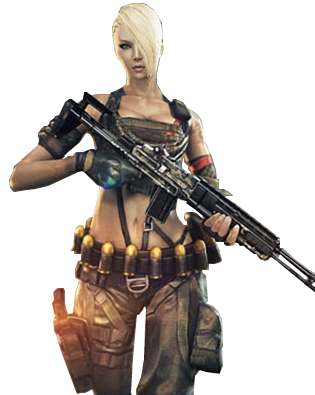 The Ranger wears female combat top and military pants and shoes. Like the Falcon, she also has many attachments around her suit: Grenade Launcher ammo around her waist, mini bags, pistol case and the pistol bullet case around her right arm. However, these attachments are also unusable like the attachments of the Falcon. Patience Is A Virtue: Don't always press E as soon as you see the indication. If you are in a good defending position with the mutants far away, and you still have ammo, keep firing until the mutants get too close. If you are in a good stealth position just don't fire your weapon and prepare in case of a mutated approaching until the time runs out. Musketeers: Always go together and watch each other's back. By the time you can become the Ranger/Falcon, the Mutants are more than likely to have outnumbered you, so don't go solo on them. • When playing with friends or clan mates, it's a good tactic to have one or two Rangers/Falcons at the end of the match while the others keep firing. They can help soften up the mutants so the Rangers/Falcons can kill them more easily. This is very effective against Revenant/Havoc, one Ranger/Falcon defends the front and the other Soldiers behind fires at him until he flashes red, then the Ranger/Falcon can finish him off. Happy New Year: If you still have the Bio-Grenade, try to lure as many mutants as possible toward you, throw it down your feet and press [E] as soon as possible. With correct timing, you will become the Ranger/Falcon as soon as the grenade explodes, killing all the mutants around you for a big score and softening up Berserk/Titan ones, allowing you to finish them off more easily. 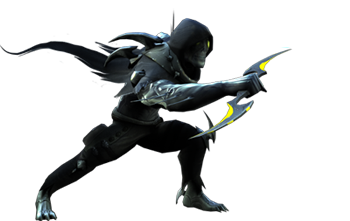 The Odds: Kill the Revenant/Havoc as rapidly as you can, he is your biggest threat since the Revenant/Havoc can solo kill 3 Rangers/Falcons without any other mutants. Having one player to lure him around and the other two slash him with primary attacks is a good way to kill him without getting hit too much. 1 Versus 100: When facing a bunch of Mutants, try to lure them around corners, staircases, corridors... and move in circles (jumping and strafing helps greatly). Most of the time, the Mutants will get stuck together and you can kill them before they can turn back at you. Now that you're well prepared. Go out there and have some fun! ♥ Cf Wiki for pictures and descriptions. While their grammar was horrifying, I had to correct most of them, it still helped! ♥ My dog, for annoying me the whole night. Wanna Play CSGO, PUBG, or Payday 2 With Me? Click Me. Slowly updating it. Almost done. Don't forget to PM a FM to pin your guide once it's complete. Just go to [FM]Blue's profile and look for the "Send Her A Personal Message" button. I think I can do that. Tell me what to do. Easier said than done man. I hope your pc gets fixed as soon as possible. Sa bagay. Hmm, siguro sa Septemer pa ako makakabalik CF.